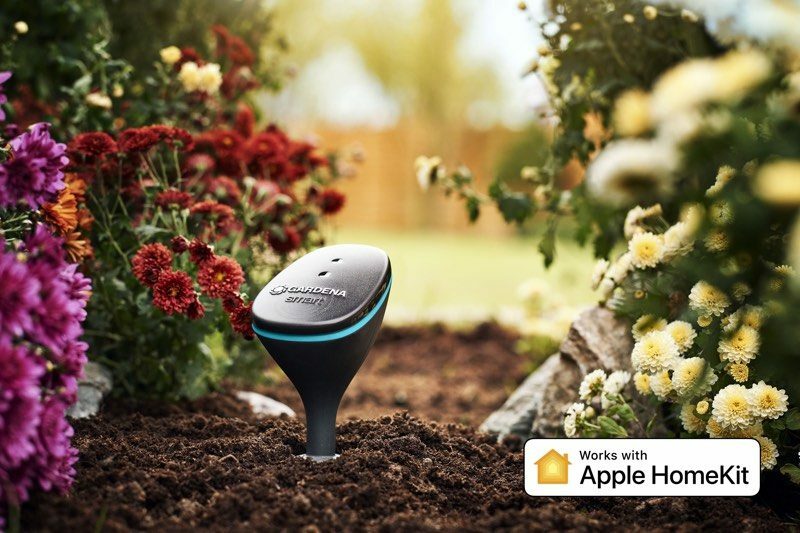 The Gardena Smart System is now compatible with Apple’s HomeKit, thanks to the availability of a software update that brings HomeKit integration to Gardena devices like the Smart Water Control, Smart Irrigation Control, Smart Sensor, and Smart Power. Originally announced at CES 2019, the update pushed out today should automatically apply to existing Gardena Smart System owners, enabling their systems to work with the Apple Home app and Siri voice commands. If your Gardena Smart System gateway hasn’t yet received the update, you can manually trigger it via the Gardena Smart System App. The individual components (sockets, sensors, and so on) can also be manually updated with the new HomeKit firmware via the app. Gardena’s Smart System products include watering sets for hedges and bushes on balconies, irrigation controls for controlling multiple irrigation zones, a control set for managing water usage, a water controller for automatic irrigation, sensors for measuring soil moisture and other parameters, and a smart power adapter.